Something a bit different to kick off the new year. 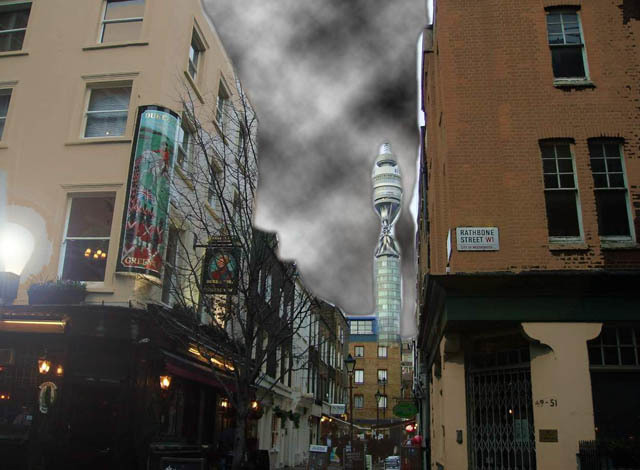 Kurt Roberts sent us this very peculiar shot of the BT Tower, shrouded in weirdness. A corrosive atmosphere of acidic gloom hangs over the city, and eats away at the neck of the tower. Grim. Keep sending in your photoshopped images of the capital. You never know, you might end up in The Sun.